For six days a week, eight hours a day, the doyenne of performance art, Marina Abramovic will be at the Serpentine Gallery. Although there will be nothing in the gallery, the Belgrade-born artist will be interacting directly with gallery visitors for a total of 512 hours. 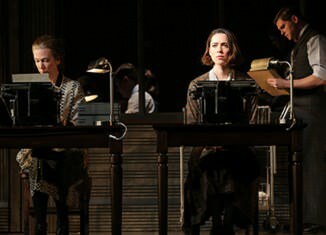 As an expert of durational performance, she’s sat on a chair for 736 hours and 30 minutes staring at gallery visitors for her retrospective at New York’s MoMA, so expect the most extraoridnary encounter you’ll ever experience in a gallery. Be warned there will no doubt be queues as there is a limited capacity of 160 visitors. You’ll have to leave mobile phones, bags and coats in the lockers provided, as Abramovic doesn’t want any distractions. And under 12s will not be permitted. There’s not a lot you can get for nothing these days in London. But if you go to the Serpentine Gallery from Wednesday June 11, you could experience the most unexpected encounter you’ll ever have in a gallery and it’s absolutely free. 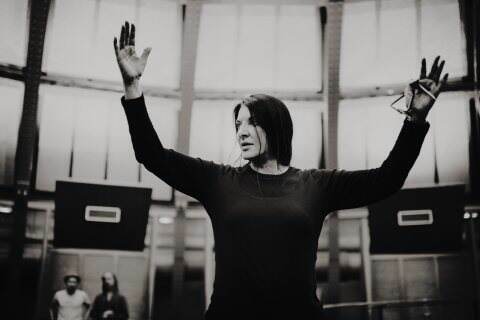 Every Tuesday-Sunday from 10am, performance artist Marina Abramović will be opening the gallery doors for her anticipated show ‘512 Hours’. So what can you expect from the mysterious proposition of an art show that includes nothing, where Abramović’s main material will be the public? The artist gave us a taster by randomly picking people from the crowd and guiding them by the hand to different parts of the gallery, where she would face them towards the wall, briefly speak into their ear before leaving them there to pick another person. Marina Abramović was born in 1946 in Belgrade, Serbia. She moved to Amsterdam in 1976 and has lived in New York since 2001. Her pioneering works of performance art have made her the subject of numerous solo and group exhibitions worldwide at institutions including Kunstmuseum and Grosse Halle, Bern, Switzerland and La Gallera, Valencia, Spain (1998); Solomon R. Guggenheim Museum, New York (2005) Museum of Modern Art, New York in (2010); the Garage Centre for Contemporary Culture, Moscow (2011); Kunsthalle, Vienna (2012). 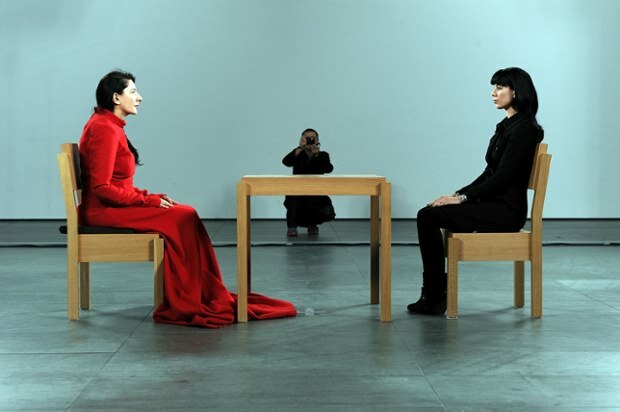 Abramović’s work was also included in Documenta VI, VII and IX (1977, 1982 and 1992); Venice Biennale 1976 and 1997, with the exhibition of Balkan Baroque in the latter earning her the Golden Lion Award for Best Artist.